Quarter Master offers a wide variety of bellhousing kits using the 5.5” diameter clutches. 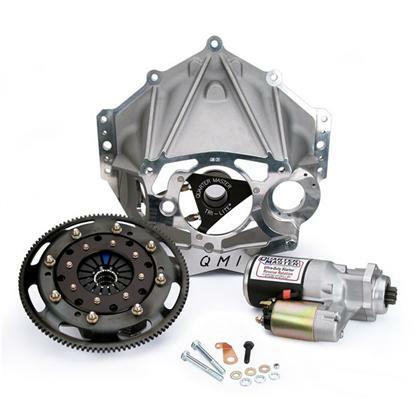 Kits are available with Pro-Series, V-Drive or Optimum-V clutches. Numerous splines and configurations are also available. In addition to these options the kits can be configured with an aluminum or magnesium bellhousing with either the Tri-Lite Hydraulic or Race Release Bearing.